So BRABUS, famous for pimping Mercedes Benz and Smart cars are working on there EBIKE hybrid bike which features a tuned Smart Fortwo Electric Drive motor. A futuristic way to do some riding round town! 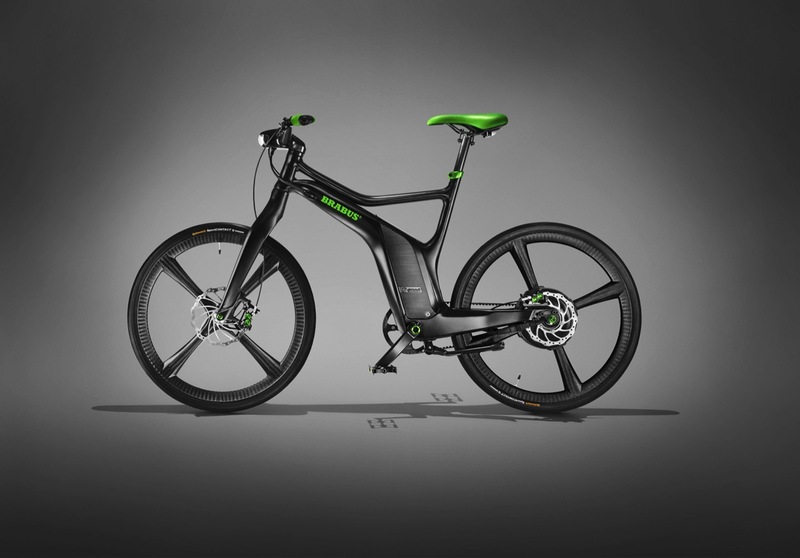 The BRABUS ebike is equipped with an electric motor capacity of 500 watts and has a maximum speed of 45 km/h. I would so love to commute on this as I could only dream of pedaling at that speed right now! E bikes like this will become more popular in the years to come as it costs so much to commute by car. Watch this space as we look at some more in the next few weeks! The Brabus will be available in 12 countries around the world at the end of 2012, it wont be cheap but it will be fun! What? You can’t pedal that fast??? 🙂 Too funny. Looking forward to le Tour!! Who’s your favorite? My husband’s a biker and rides with a club. Good stuff. It looks like an interesting bike and would be fun on a private track, But for the road I think 45 kph is a bit mindblowing though and almost makes it more like a moped in some respects. I haven’t been on a bike in years, but this bike is making me want to purchase one of my own. That is one nifty bike!! you know it – amazing!